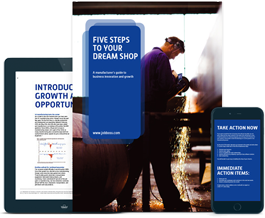 If you have owned or managed a job shop for very long, you likely know how difficult it can be to remain competitive in a struggling economy. In situations like this, it is important to leverage what you can to make your business more effective. 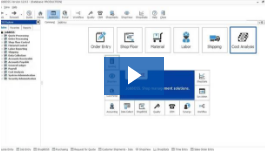 One area that many job shops can improve on is how they use their job shop management system. A quote often attributed to Albert Einstein says that, “the definition of insanity is doing the same thing over and over again,yet expecting different results.” Everyone falls into this trap at one time or another, but in the business world indulging in this thinking can quickly lead to failure. Even if you hit a sweet spot early on and have been going off of intuition for years, you can’t afford to take chances any more in today’s business climate. Repeating what worked previously is only effective for so long. Smart business people – job shop owners included – should have a strategic view of their business, and use a consistent set of key performance indicators to measure the performance of their business. If you are like most job shop owners, your shop is probably one of the most important parts of your life – providing income for your family today, employment for your staff, and a lasting legacy for generations to come. You can’t afford to be anything but smart when it comes to developing your company.